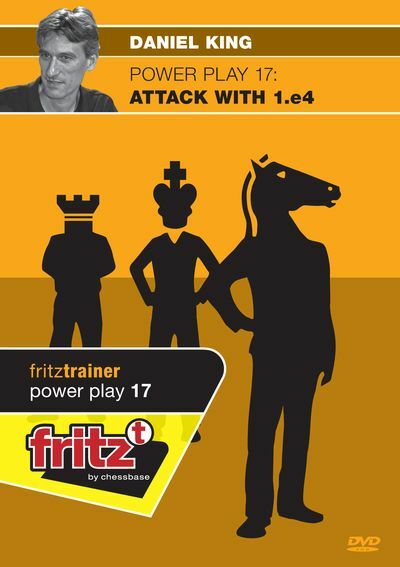 This DVD provides you with a repertoire of attacking lines against the four major defences to 1.e4 � that is, 1...e5, the Sicilian, the French, and the Caro Kann. These systems will put your opponent under pressure, and when players are under pressure, mistakes occur. This is a practical repertoire � if we study openings we want to be sure to use them in our games. For example 1 e4 e5 2 Nf3 Nc6 3 Bc4 is one of the recommendations. After just a few moves, you will be dictating play. The Power Play series is suitable for anyone looking to improve their chess, but also provides ready-made lessons and exercises for a trainer. Video runningtime: 6 hours.